It is always such a joy to visit my family in Malaysia. They go out of their way to make me feel special and welcomed. Of course they feed me really well too. As I have mentioned in Part 1, Malaysians love to eat and are passionate about their food, and my family is no exception. I have no problems with that as sharing food is a good way to bond and one of the best meals for that is the Chinese hot pot. This visit, my brother suggested a seafood hot pot and I am in total agreement. Minnesota being a landlocked state except for its border with Lake Superior in the north east, is far away from the ocean on both sides. 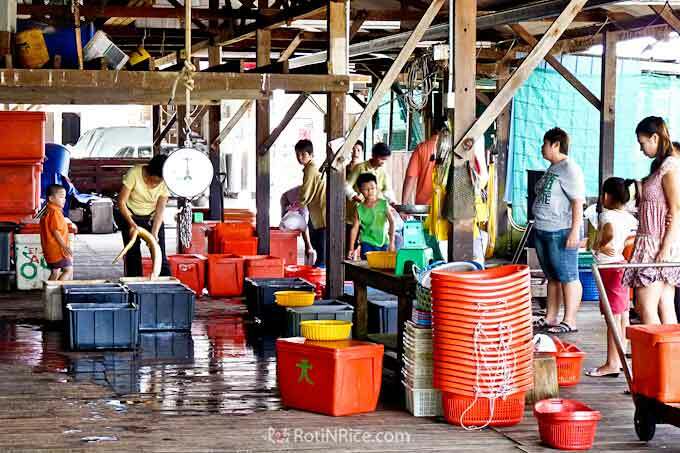 For that reason, fresh seafood is not easily available here. Malaysia, on the other hand is a maritime nation bounded by the South China Sea on the east and the Straits of Malacca on the west. Sitting on the Sunda Shelf, Malaysia and the surrounding islands are rich fishing grounds that yield abundant seafood for the table. It is for the latter that my brother took me on a day excursion to Kuala Selangor, a sleepy coastal town that attracts people from the metropolitan area for seafood during the weekends. 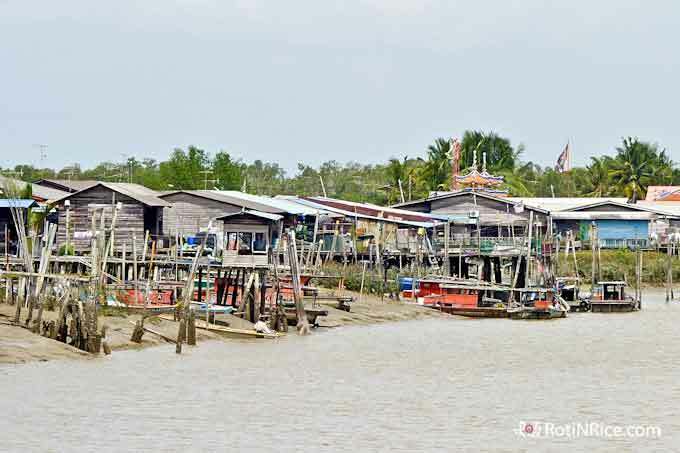 Kuala Selangor, which means the estuary of the Selangor River which empties into the Straits of Malacca was the first settlement in the area that ultimately became the most heavily urbanized section of the Malaysian peninsula. 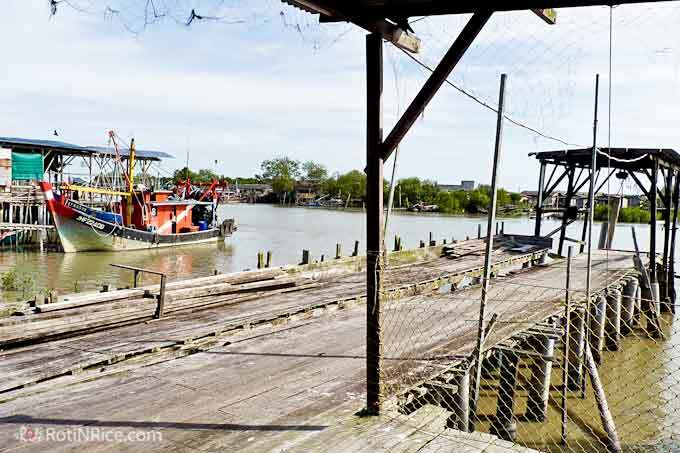 In the old days, it was a port that traded tin and forest products with the nearby Sultanate of Malacca as well as with the Hindu kingdoms of Sumatera. It fell into decline as a trading center after the arrival of European colonial powers who set up their own trading ports in Penang, Singapore, and Batavia (Jakarta). It was finally eclipsed by Port Swettenham (Port Klang today) as the main port for the Klang Valley. Our first stop was a seafood restaurant right by the river. Since it was a week day and a little past lunch time, we had a free choice of tables to sit at. We chose a table on a raised platform right by the river with a view of the houses on stilts, sampans (river boats), and fishing boats plying up and down the river. There was a gentle breeze and it was cool and very pleasant. I left the ordering of the food to my brother while I enjoyed the scenery, took pictures, and chatted with the rest of the company. 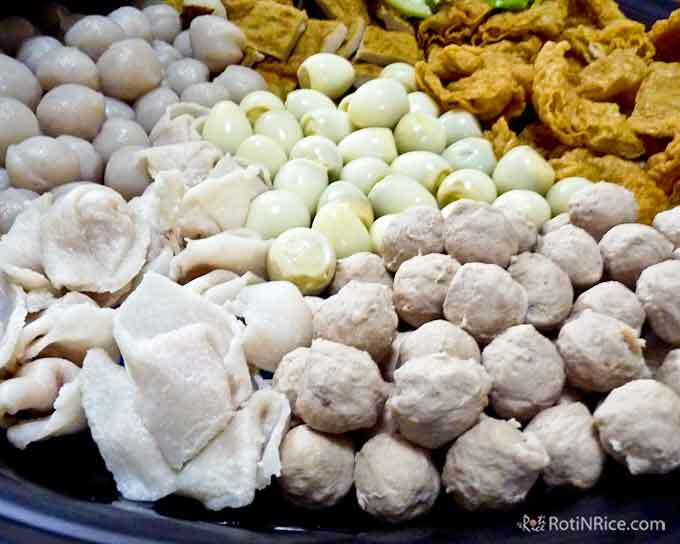 It seems like cockles are making a comeback after the hepatitis A scare of the 80’s as I see it appearing in Curry Laksa and Char Koay Teow. These cockles were cooked in a kam heong style new to me. Kam heong means golden fragrance and incorporates chopped dried shrimps, chili padi (bird’s eye chili) curry powder, curry leaves in the making of the sauce. It truly is fragrant and spicy. The dish was really tasty but the chef could have cut back a little on the curry powder used. The fried beehoon with lala was also quite tasty despite its plain appearance. I am not exactly certain but I think the fish was siakap, a river fish. Teochew style steamed fish is a little tangy with the use of salted mustard leaves, preserved plums, and tomatoes. After lunch, we were ready to take a stroll down the street to purchase ingredients for our hot pot and also some hae pneah (shrimp crackers) for snacks. These shops cater to the city folks and so the prices tend to be on the “touristy” side…sigh! We bought fish balls, fish wontons, fu chok (tofu skins), and fried hae pneah (shrimp crackers). There wasn’t much in terms of fresh seafood. My brother suggested going closer to the source. A short drive away brought us to the jetty (pier). Most of the fishing boats were already back from their early morning foray out to sea. 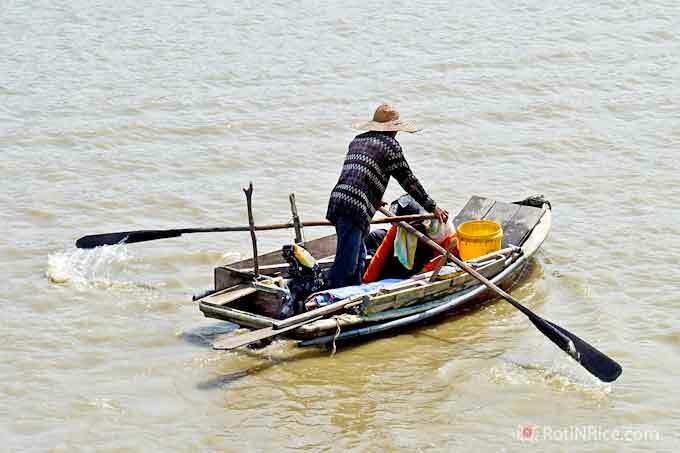 The men were either clearing up or preparing their boats for the next day. A lorry (truck) backed into the loading area for their supply of fresh seafood bound for the city. Fortunately, there were still some left for us. We had to make our selection fast as it was getting late. We decided on blue crabs, shrimps, and tau tay (pomfret) fish. It was time to head home. We got to work as soon as we arrived home. Many hands make light work. While the rest cleaned and prepared the ingredients, I made the soup stock using this recipe. Another brother brought stuffed fu chok (tofu skins), quail eggs, more fish wontons, and lettuce from his home. There was a good selection for our hot pot. This segmented electric hot pot is really handy. 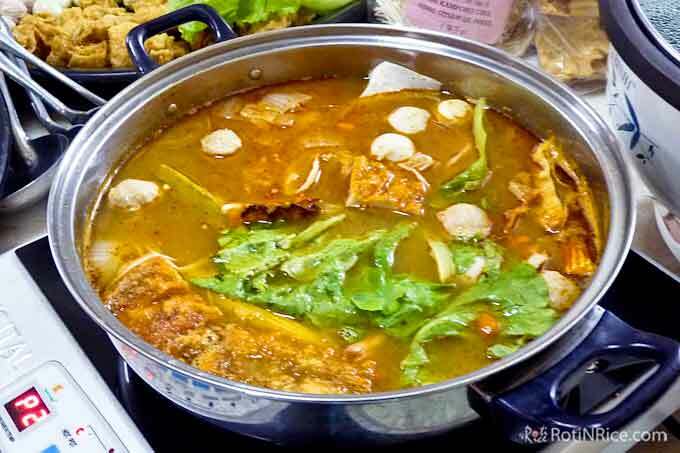 It allows for two different soup flavors to be served simultaneously in one pot. For this time, we filled both sections with the same soup. A separate pot was used for the spicy option. For the spicy option, we added some tom yum paste from Thailand into the chicken stock. Both soups were really tasty and it was good to soak it up with the addition of noodles. We had a fun time and a great meal. Supper had to be called off as we were all stuffed! We had to save room for another feast coming up soon. The following day was the occasion of my parents’ wedding anniversary. We had a typical Chinese eight-course dinner at a restaurant. The first dish was the Four Seasons Platter which was actually the appetizer. 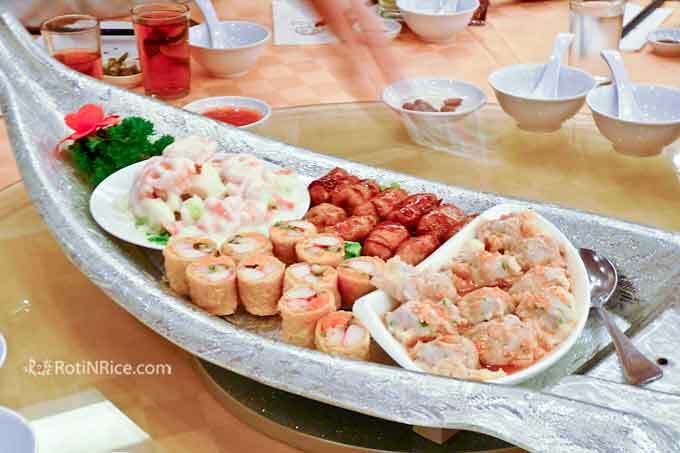 It came in a huge boat-shaped platter. I enjoyed this appetizer and eagerly awaited the rest of the dishes. All the dishes were pretty good except for the steamed chicken which was a little dry and overcooked. I thought the steamed tau tay (pomfret) fish was outstanding. The fish was moist, juicy, beautifully sliced and presented. Two dishes not shown here were the steamed chicken and long life noodles. In a Chinese course dinner, the noodles or rice dish is served as a filler. It usually comes before the final course which is dessert. All in all, I enjoyed the dinner. It was also good to catch up with my aunts, uncles, and cousins. In the course of the week, I went to the baking supplies shop at Taman Megah. This is one of my favorite places to visit as they have all kinds of molds, baking utensils, flours, nuts, pastes, and flavorings. The shop always smells so good with the pandan paste and various other extracts. I finally purchased a snow skin mooncake mold and also the flour for it. Of course I also bought bao flour which is not found here in the United States. I tasted more hawker fare like char koay teow (fried rice noodles), nasi lemak, and fishball noodles, both dry style and soupy. This nasi lemak can be made into the deluxe version with fried chicken, curry chicken, sambal sotong, and various other additions. 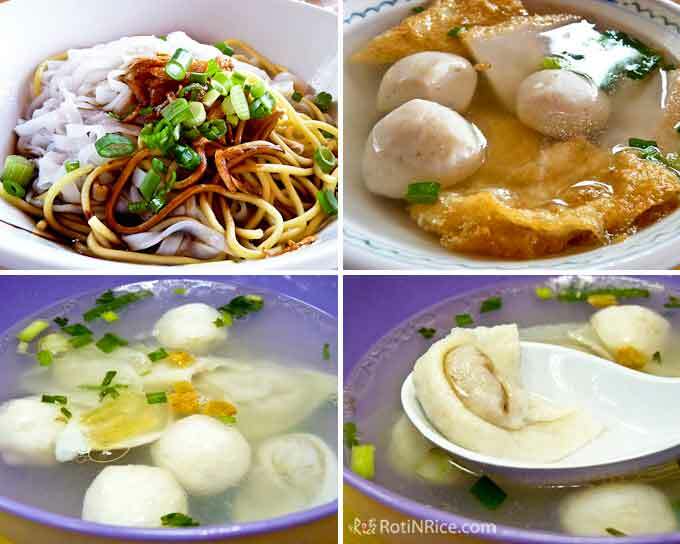 The fishball and fish wonton soup shown in the bottom two pictures are said to be one of the best in town. The wrapper for the fish wonton is made of minced fish. 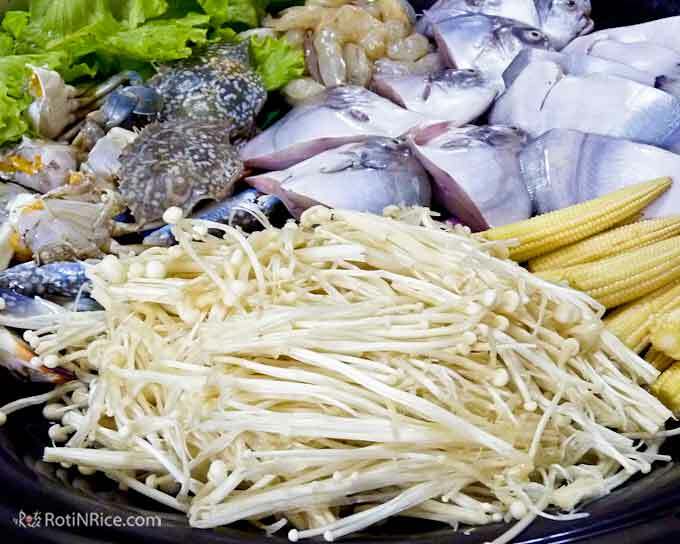 The filling is a mix of minced fish and dried flat fish. I did enjoy both very much. They have a light springy texture and are definitely head and shoulders above the frozen ones we get over here at the Asian markets. My parents’ home is conveniently located close to sundry shops and the morning open air market. This allows mom to buy fresh produce every day. While I was there, I will accompany her each morning. The stores and coffee shops open early and it is usually a hub of activity by the time we get out there. There are also many street vendors parked close to the coffee shops and they change throughout the day. Some are there in the mornings while others only set up shop in the afternoon. 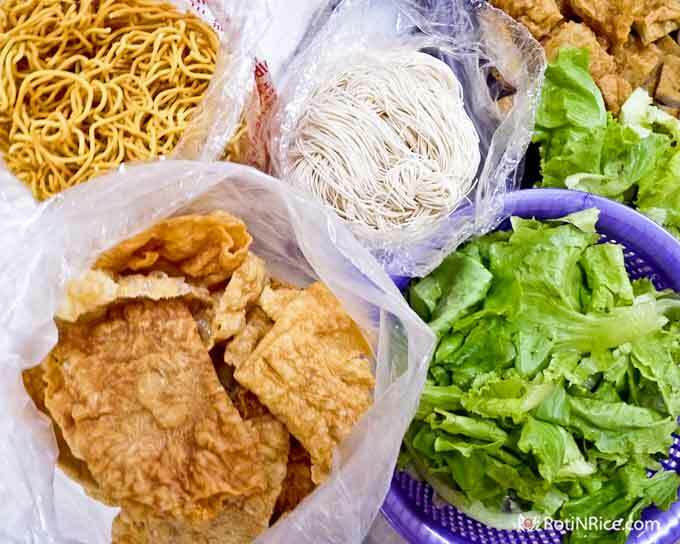 One such afternoon vendor is the one selling deep fried popiah and shrimp fritters, popular tea time snacks. The shrimp fritters are crunchy and quite tasty dipped in sweet chili sauce. 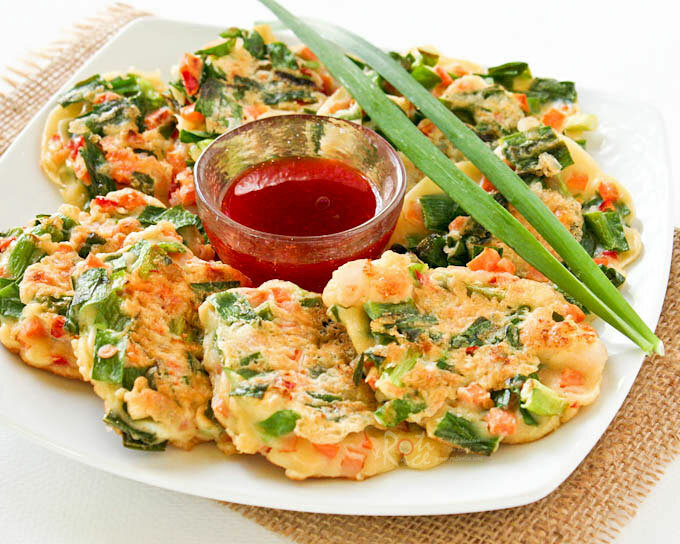 For a healthier version of the shrimp fritters, please do check out my Chinese Savory Pancakes. I absolutely love reading your articles on your travels and your pictures are beautiful. I promote your site to my facebook friends. So glad I found you! I have been waiting for part 2 and you did not let me down! Great read, and so many tantalising photos! I love fish wantons in my bowl of dry chilli noodles and wish I knew how to make them myself *sigh* The recipe seems impossible to find 🙁 Anyway, the hot pot looks superb and the seafood is all so FRESH!! Thanks Denise! I would also love to attempt those fish wontons but unfortunately I can’t get the right kind of fish here. Hopefully I can come up with a substitute one of these days. 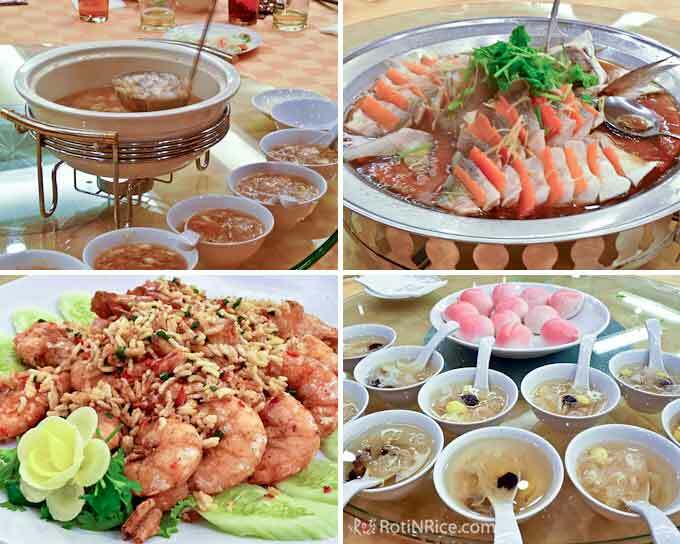 Yes, the seafood is so fresh and those blue crabs and shrimps made the soup so tasty and delicious. 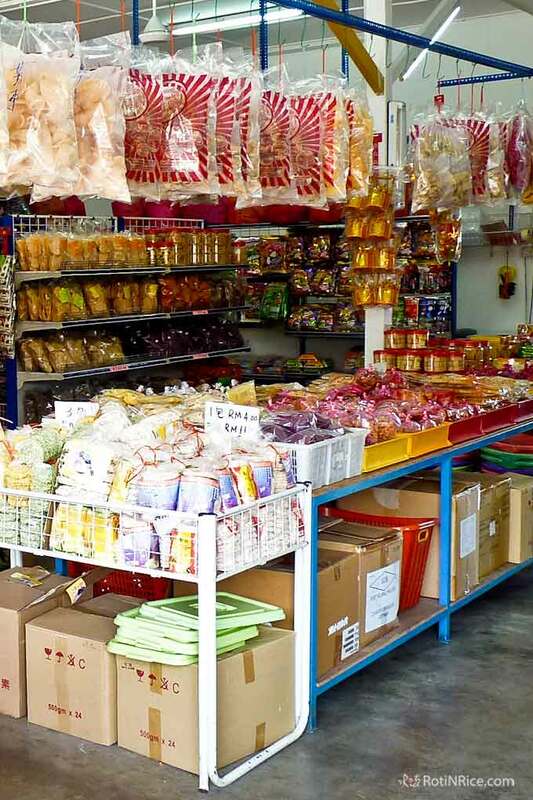 You are making me very homesick with all those delicious food and food shopping.I never dream of visiting Kuala Selangor.Is it near Malacca? I am going back to KL in October,maybe I will visit Kuala Selangor.Any nice hotels nearby you would recommend? Really enjoying this report about your vacation. Glad more is on its way! Post as much about it as you can – it’s wonderful. Another great post Biren! There was so much in this post that I found quite interesting from the old seaport to the fact that your mom and can walk to the market everyday for fresh veggies! I have never heard of tofu skins and am having a hard time picturing them. Guess I need to Google that. An yes – I am a novice when it comes to tofu. 🙂 What an anniversary meal!!! Thanks for sharing your visit home. Thanks MJ! I am glad to hear you find the post interesting. Tofu skins are used a lot in Chinese cooking. I really enjoy tofu and all its derivative products. Hopefully you can try some one of these days. OMG!!! Food….glorious FOOD!! This is probably the main reason why we miss home 🙂 Thanks for the revision of the Geography and History lessons, Miss Biren 😀 Very interesting, indeed. Again, love the colours. 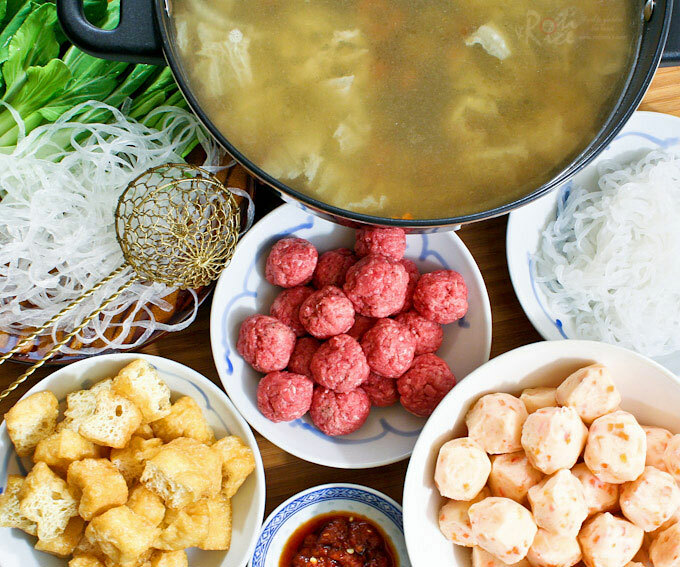 Mmmmm hot pot…one dish that never fails. We called this “steamboat” in Sarawak. What a trip! 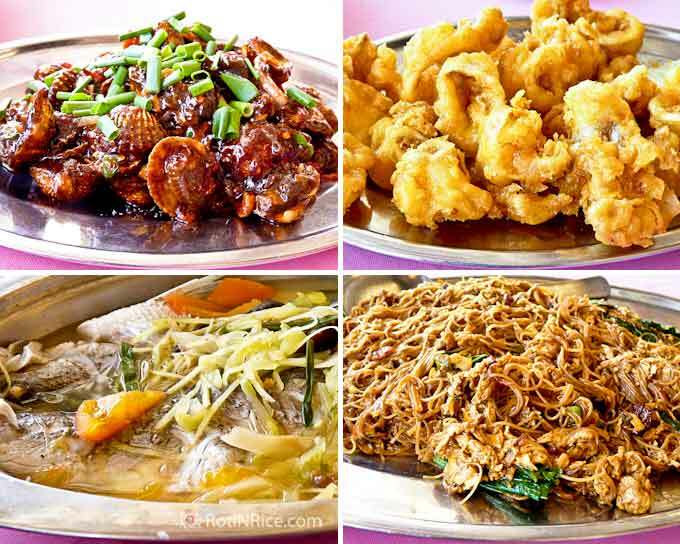 I love how you ate your way through Malaysia (the shopping looks pretty good too! ), even going out to the pier for fresh seafood for the hot pot, like that double bowl container, great idea to serve two flavors at once! 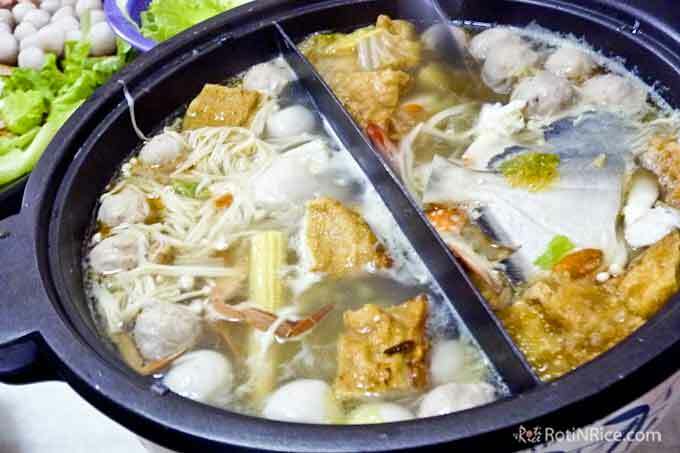 That’s such a great looking hotpot, chock full of goodness!